We are a tuition-free, public charter school serving K-8 students throughout Canton, OH. We are AdvancED Accredited. Our school is conveniently located on Superior Avenue, on the corner of Mahoning Road and Superior Avenue. Free bus transportation is provided for families that live 1 to 5 miles from the school. 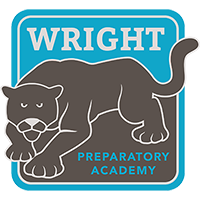 Wright Preparatory Academy is known for being a school that feels like home and family, and for its exceptional academic results. Wright Preparatory Academy is authorized by St. Aloysius and managed by ACCEL Schools, an established network of more than 40 charter schools located throughout the US. You all are angels - God's angels in disguise! If my children had attended a different Canton city school, they would not have passed the 3rd grade reading test to advance to the 4th grade. Wright Preparatory Academy is the help for our children's successful future!